The Volkswagen Group with its headquarters in Wolfsburg, Germany is one of the world’s leading manufacturers of automobiles and commercial vehicles and the largest carmaker in Europe. With its future programme “TOGETHER-Strategy 2025” the Group is laying the foundations for becoming a global leader of sustainable mobility. For Volkswagen, sustainability means pursuing economic, social and ecological objectives simultaneously and with equal energy. It is our aim to create lasting values, offer good working conditions, and conserve resources and the environment. Inventure Automotive Electronics Research & Development, Inc. offers intelligent and fully comprehensive solutions for telematics and automotive industry by developing and supplying high-tech electronics with focus on fleet management and expertise in CAN bus technology since 1997. We are committed to supporting our partners in reducing fuel- and maintenance costs of vehicle fleets and increasing efficiency of vehicle operation. Our professional devices deliver real and precise vehicle related technical information and our highly qualified engineers provide continuous support and unique solutions for our business partners all over the world. 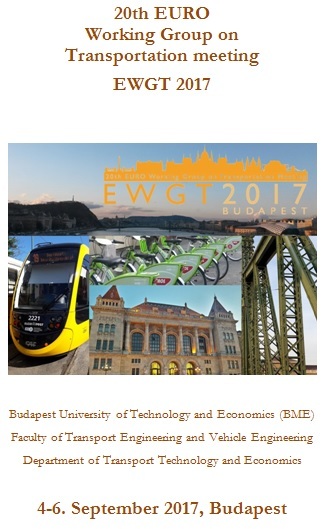 The main areas of the activities are own product development, production and distribution, and applied research in close cooperation with the Budapest University of Technology and Economics. HungaroControl is one of the most successful state-owned companies in Hungary, which provides air navigation services in the Hungarian airspace and (on a NATO assignment) in the upper airspace over Kosovo, trains air traffic control personnel and conducts air navigation research and development. Continuous innovation activities have positioned HungaroControl at the forefront of European initiatives to improve flight safety, increase capacity, reduce airline costs, and enhance environmental protection. Elsevier has been working with the transport community since 1967 when we launched our first transportation journal, Transportation Research. By delivering first class information and analytics, we continue to refine our portfolio to serve the research needs of educators, researchers and students worldwide. 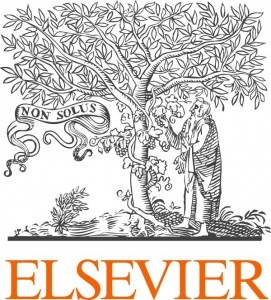 For more information on Elsevier’s transportation journals, including Automated Vehicle Research, please visit Elsevier’s Transportation subject page. Follow us on Twitter at @Transport_Els or find us on Facebook. CIVITAS stands for City-Vitality-Sustainability and is the European Commission’s flagship programme co-financing innovation in resource-efficient and competitive urban mobility and transport. Some 275 towns and cities constitute the network which seeks to realise Cleaner and Better Transport in Cities. Through events, publications, webinars, online resources, thematic working groups, peer-to-peer exchange and financial assistance, the forum ensures all members benefit from one another’s experience and the know-how which is accumulated across Europe.